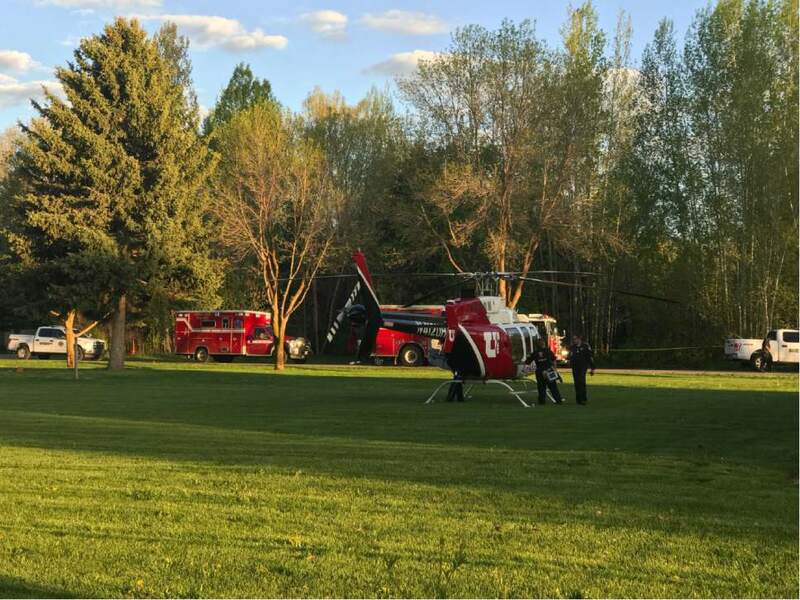 | Courtesy Steve Woolley A medical helicopter came to the scene of a homicide at a home in Huntsville on Wednesday, May 10, 2017. One man was dead at the scene and his wife was seriously injured, but expected to survive. Police have a suspect in custody. Al Hartmann | The Salt Lake Tribune Weber County sheriff's deputies investigate a homicide at a residential home in the 7400 East block of 400 South in Huntsville Thursday. 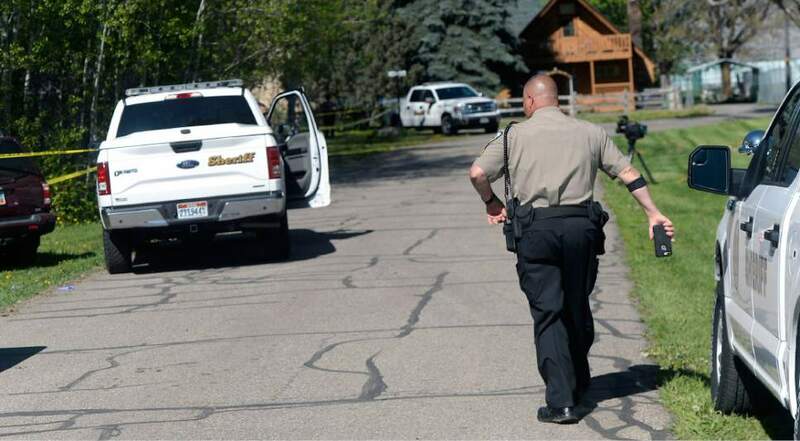 Al Hartmann | The Salt Lake Tribune Weber County sheriff's deputies investigate a homicide at a residential home in the 7400 East block of 400 South in Huntsville Thursday morning May 11. 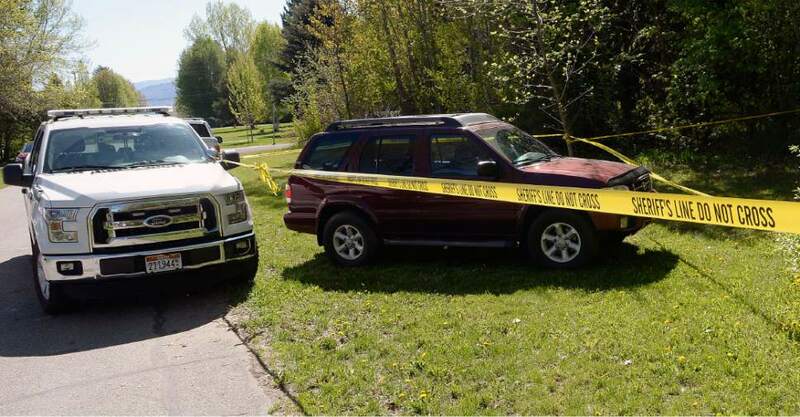 Al Hartmann | The Salt Lake Tribune Weber County sheriff's deputies investigate a homicide at a residential home in the 7400 East block of 400 South in Huntsville Thursday morning May 11. 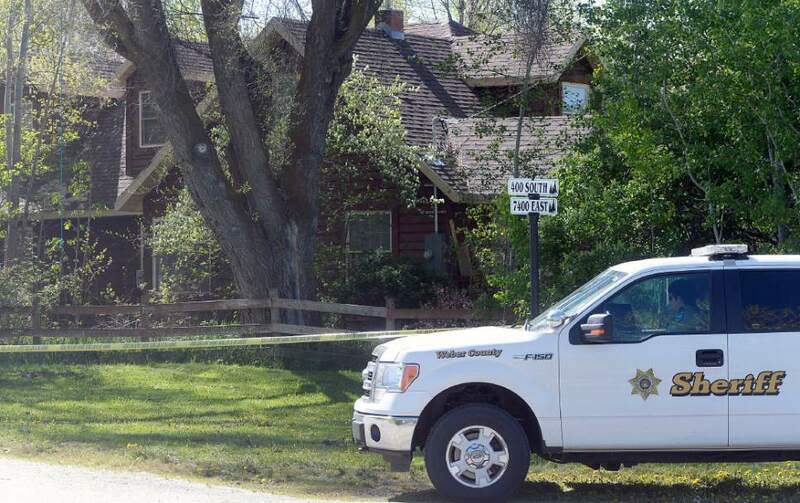 Al Hartmann | The Salt Lake Tribune Weber County sheriff's deputies investigate a homicide at a residential home in the 7400 East block of 400 South in Huntsville Thursday morning May 11. 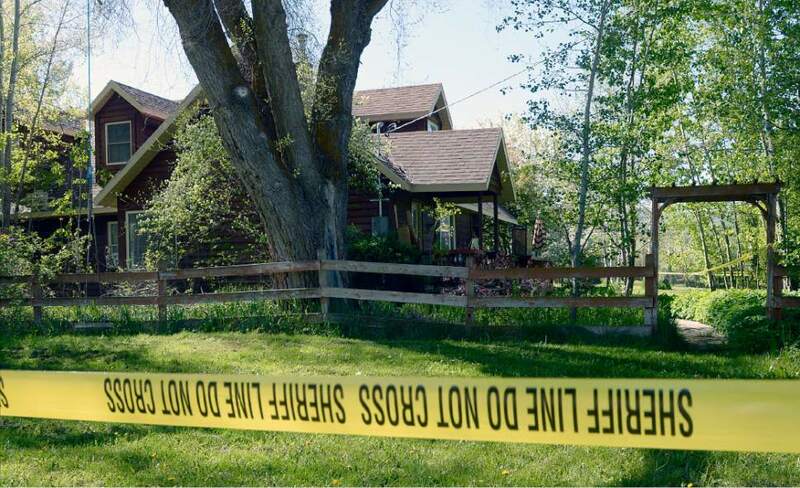 Al Hartmann | The Salt Lake Tribune Weber County sheriff's deputies investigate a homicide at a residential home in the 7400 East block of 400 South in Huntsville Thursday morning May 11. 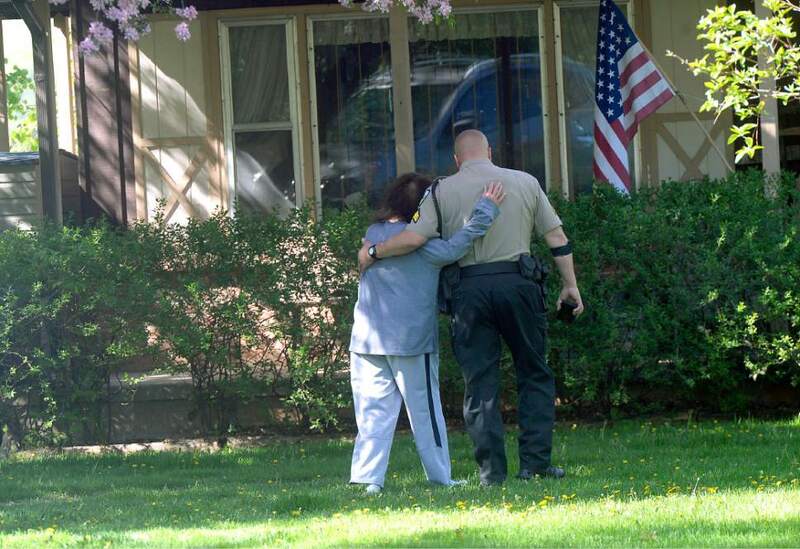 David Erekson Al Hartmann | The Salt Lake Tribune Weber County sheriff's deputy comforts a neighbor as they continue to investigate a homicide at a residential home in the 7400 East block of 400 South in Huntsville Thursday morning May 11. A 42-year-old Huntsville man accused of killing his stepfather and attacking his mother last week faces a murder charge. 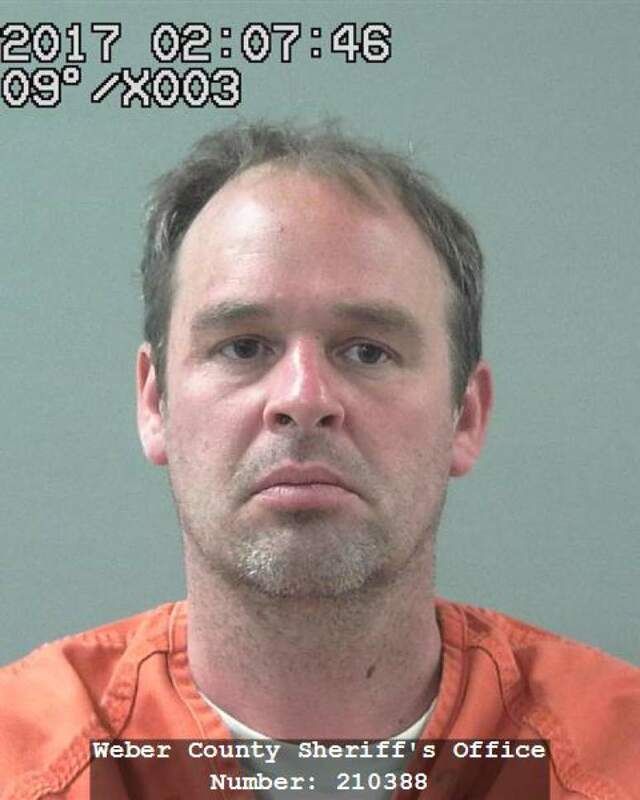 David Russell Erekson was charged Monday in 2nd District Court with the first-degree felony in the death of his 69-year-old stepfather, Roger Haven. Erekson also faces one count of obstructing justice, a second-degree felony; assault resulting in the "substantial bodily injury" of his 72-year-old mother, Gundi McClarin, a class A misdemeanor; and interference with an arresting officer, a class B misdemeanor. McClarin called police Wednesday evening, according to charges, reporting that Erekson, who lived with her and Haven, was assaulting them. McClarin went outside and called police while Erekson assaulted her husband in their kitchen, charges say, but Erekson exited the home while she was on the phone and attacked her. McClarin got in her vehicle and drove down the road, where first responders found her. McClarin "was later taken to the hospital and found to have substantial injuries to the bones in her face," charges say. Deputies and medical personnel found Haven dead inside the house with stab wounds in his back and other injuries to his head, face and neck, charges state. Deputies found Erekson in the backyard of the residence, and he was not cooperative with police, charges say. Deputies used a stun gun on him and arrested him. Inside the home, detectives found a knife in the kitchen sink, charges said. "There had been an attempt to wash blood off this knife," according to charges. Investigators found "additional evidence where it appears blood or bodily fluids were cleaned up prior to police arriving in the home." Before requesting an attorney, charges state, Erekson told officers he&apos;d killed Haven. Erekson is scheduled for an initial court appearance May 25.